Understanding and managing RV weight is critical for safe RV travel. Use these tips to help safeguard your investment, passengers and the roadways. Understand the Definitions: Start by understanding the basic terminology. Learn the RV weight definitions and don’t exceed the ratings. Understand how these definitions fit in with safe towing. Buyer Beware: When buying an RV and/or tow vehicle, make weight one of the primary considerations. You should look for capacity that will accommodate the RV and tow vehicle combination you have in mind, whether that‘s a motor home and dinghy, or a truck and towable RV. Make sure that you have sufficient carrying capacity for you, your passengers, belongings, liquids, etc. 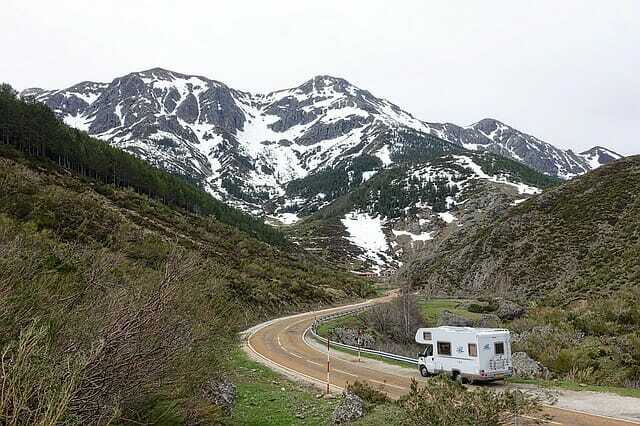 RV weight is a big factor in your purchase decision, so before you get enamored of a particular floor plan or RV model, make sure your RV/tow combination can do the job in the weight department. Do not rely solely on dealer sales reps. Check the numbers and do the math yourself. Know Your Own Limits: Make sure you know the numbers for your RV and tow vehicle. Manufacturer’s owner manuals and spec sheets will have towing vehicle and RV weight information. Check physically on the vehicles for a label showing the numbers. Weigh In: Find a certified scale to weigh the fully loaded vehicle. Check the Yellow Pages under Scales, Public, Weighers or Moving & Storage. Truck stops usually have certified scales. Know how to weigh. Check out this pdf booklet, How to Weigh your Travel Trailer or RV as a reference for how to take RV weight measurements and calculate loads. Achieve Balance: Make sure you know total gross weights and how the weight is distributed. You should get a measure of the weight distributed on each wheel position, or axle end, of the fully loaded vehicle. This is very important. Even if your total vehicle weight is within specified limits, you could be out of balance and overloaded for an axle/axle end. Proper distribution of vehicle weight is critical to braking, handling and the life of components such as axles, springs, bearings and tires. Another tip for large towable trailers (over 5,000 lbs.) is the use of a Weight Distribution Hitch System. They apply leverage to distribute the load of the trailer to all axles of the tow vehicle and trailer. The benefits include improved ride, steering, braking control and safety. Have Regular Check-Ups: Have your RV weight checked periodically. The frequency of these checks will depend on how much you travel. The amount of stuff we tote around, and how it is stowed, changes over time. Pack Wisely: Some general guidelines for packing items in the RV:Put heavier items low and forward, and the lighter item high. Try to balance personal belongings between right and left sides. Don’t stow heavy items where they are apt to tumble into plumbing, electrical or other equipment. Avoid loose items – make sure things are secured so they stay in place going down the road. Check Tires: As they say in the ad, “you’ve got a lot riding on your tires”. Overloading or under-inflation can cause premature tire failure. While tire sidewalls are usually labeled with maximum load rating, the amount of pressure you should use depends on the load. Tire manufacturers publish charts showing proper inflation pressure for specified weight loads. Often these charts include speed ratings as well. Armed with the inflation tables and a complete set of axle end loads, you can make informed adjustments to pressure and/or how your cargo is distributed. Remember that while inflation levels for the front axle may differ from a rear axle, the tire pressure must be the same across an axle. Once you have it right, check inflation pressure regularly with a reliable gauge. Always check inflation when the tires are cold. “Cold” means when they’re at the same temperature as the outdoor air. After parking the vehicle, wait at least 3 hours before checking pressures. Or, let the vehicle sit parked overnight, then check the pressures before you’ve driven it a mile. Many vehicles have dual tires – they should have identical pressures and should both be checked. Do your Spring Cleaning: Clean house at any time of the year. The tendency to accumulate “stuff” spills over into the RV lifestyle, too. If you haven’t used something in a while, evaluate whether you need to keep it. The next time you have to take out a dozen items to get to the one you are looking for, maybe some of them are due for the trash bin, yard sale or donation. If nothing else, you may just reorganize things so that often-used items are handy. Feel the Difference: If you notice a change in how your rig is handling when you drive, it may be an indication of RV weight or tire problems. And if something is awry with weight or balance, you could end up with other issues with tires, suspension, axles, and so on. So avoid the potential for expensive repairs, and more importantly, keep the roadways safe for yourself and your fellow travelers. If you sense a noticeable difference, find out why. Learn about RV weight with RV Safey Education Foundation(RVSEF). They offer a complete package on RV safety, and also hold seminars at various locations throughout the year. Fifth Wheel St. provides towing guides, online calculators, printable worksheets and safety report for those who tow fifth wheel, gooseneck and conventional trailers.